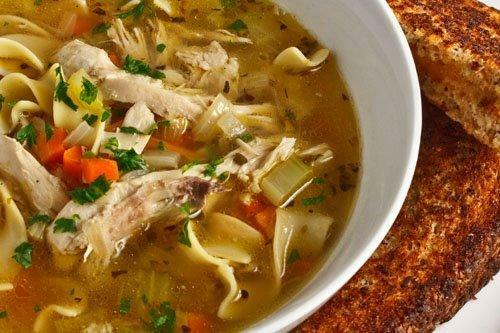 This soup is easy to prepare and rich in flavor. Enjoy the benefits of the Quinoa seed and spelt wheat, which are both highly nutritious. You will never buy a can of turkey soup again. In a large stockpot mix all of the ingredients with the exception of the noodles and parsley. Bring to a boil then allow the soup to simmer for 30 minutes on low. Add the noodles. Simmer for another 30 minutes longer. Add the parsley then serve. Makes about 8 – 10 servings, which can be frozen for up to thirty days. I have to convey my affection for your generosity supporting individuals who must have help on this important issue. Your real commitment to passing the message up and down has been incredibly good and have all the time empowered some individuals just like me to reach their pursuits. Your amazing informative guide means a great deal a person like me and additionally to my office colleagues. Many thanks; from everyone of us. hi!,I love your writing very much! share we keep in touch more approximately your article on AOL? I require an expert on this space to solve my problem. May be that is you! Looking forward to peer you. We are a gaggle of volunteers and opening a brand new scheme in our community. Your website offered us with useful information to paintings on. You have done a formidable activity and our entire neighborhood will likely be thankful to you.